CHALLENGE OF THE AMERICAS SETS 2019 SCHEDULE AND CLASSES | Challenge of the Americas! ORANGE, CA (September 13, 2018) – The 2019 season begins for many in the western half of North America with the annual journey to compete at Challenge of the Americas. The premier winter series on the left coast is set to host the 12th year of the three-event championship program, now focused on its second season utilizing the ROK Cup USA engine platform with Bridgestone tires. The 2019 campaign will continue that momentum, along with welcoming a new shift in the dates for the three events. 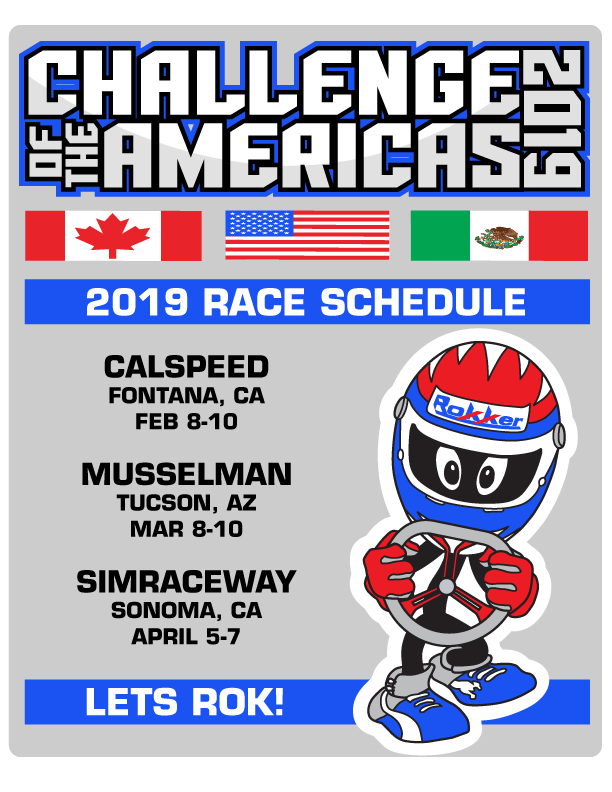 Complete information for the 2019 Challenge of the Americas will be published at the challengekarting.com. More information, videos and photos can also be found on the Facebookpage. This entry was posted in Challenge of the Americas, Fontana, Information, Media, Sonoma, Tucson by challenge-admin. Bookmark the permalink.